What could be more British than putting Great Britain in Minecraft? How about adding Dr. Who? 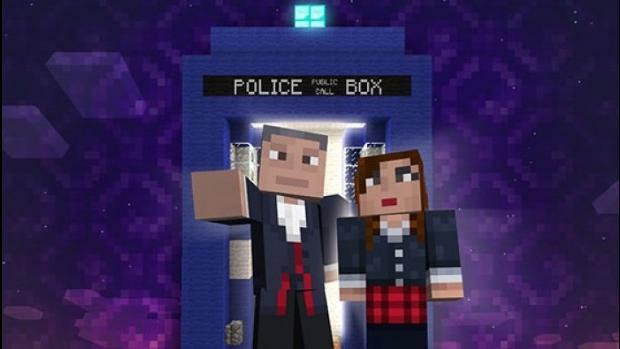 According to the BBC, Dr. Who skins will be coming to the Xbox 360 version of the game in September. The pack will costs $2.99 and include The Twelfth Doctor, five other Doctors, each Doctor’s companions, and some enemies including Daleks. This pack is just the first of several planned packs that will be released after the broadcast episodes in Doctor Who Series 8, the BBC said in a press release. Each pack will feature at least six Doctors. Doesn’t mean that there will only be two packs? Maybe there will be alternate versions of the Doctors. Anyway, start building your Tardis now. You have to figure out a way to make it bigger on the inside than on the outside.